By Stacy Smith (Kumamoto-ken CIR, 2000-03) for JQ magazine. 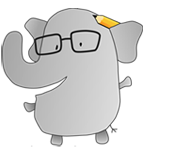 Stacy is a New York City–based provider of top quality Japanese interpreting, translating and writing/editing services. Starting from her initial encounter with Japan in her teens, she has built up a consummate understanding of the country‘s language and culture, enabling her to seamlessly traverse between Japan and the U.S. and serve as a bridge between the two. For more information, visit www.stacysmith.webs.com. As a writer, Stacy also shares tidbits and trends with her own observations in the periodic series WIT Life. Having spent three years on JET in Kumamoto, home of nationwide sensation Kumamon who didn’t yet exist when I was there, I must honestly say that I approach bear characters with slight trepidation. However, I was delightfully surprised to love every minute of my encounter with Kuma-Kuma Chan, the bear who stars in the eponymous children’s book series written and illustrated by Kazue Takahashi. Her warm watercolors and relatable stories are guaranteed to entertain readers of all ages, and the latest English-language addition to this series, Kuma-Kuma Chan’s Travels, is every bit as enjoyable as its two predecessors. The previous two books, Kuma-Kuma Chan, the Little Bear (previously reviewed in JQ here) and Kuma-Kuma Chan’s Home, looked at a day in the life of Kuma-Kuma Chan on his own and when a friend comes to visit. 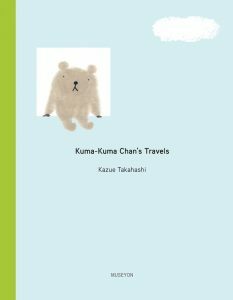 Kuma–Kuma Chan’s Travels is a bit more expansive, introducing readers to his world when he takes trips. I love the details at the beginning sharing what he brings with him on his journeys, along with accompanying illustrations such as a Thermos containing hot coffee. We later see him on top of a mountain drinking said coffee while watching the sunrise. These trips take place inside his head, but the descriptive text and beautiful pictures make you feel like you are with him everywhere he goes. The series as a whole features a strong element of kawaii, or cuteness, which contributes to its Japaneseness. Also, there is an intangible sensibility to the stories that make them feel a bit different than traditional Western children’s books. In the inaugural Kuma–Kuma Chan, the Little Bear, we learn about his daily routine, which includes aspects such as eating a big salad for breakfast with lettuce from his garden and personal grooming like trimming his nails and hair. I particularly liked the scene which shows him during the winter, rolling around to catch the sunlight as the day progresses with the kerosene heater nearby. For many JET alumni, I’m sure this scene will be reminiscent of days spent in school offices where this was the sole source of heat. For readers seeking a creature of a different nature, the Tyrannosaurus children’s books written and illustrated by Tatsuya Miyanishi is another series worth checking out. It currently features 13 titles, four of which have been published in the U.S. For those who would like to learn about these books and meet the acclaimed author, he will be at the New York and New Jersey locations of Books Kinokuniya at 2 p.m. on October 21 and 22, respectively. 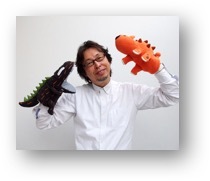 On both days, Miyanishi will be reading from and discussing his works, as well as signing books for those with purchased copies. For more dates in Texas, Washington and California, click here. Kuma-Kuma Chan’s Travels is available October 1. For more information, click here.